Today’s Humpday Helper is quite simple: pay it forward. Last week a two year old little boy, James Edwards, accidentally fell into his pool. The tragic accident occurred just after his parents gave birth to their newborn little boy, Anthony. It’s unfathomable, unimaginable, and simply heartbreaking. 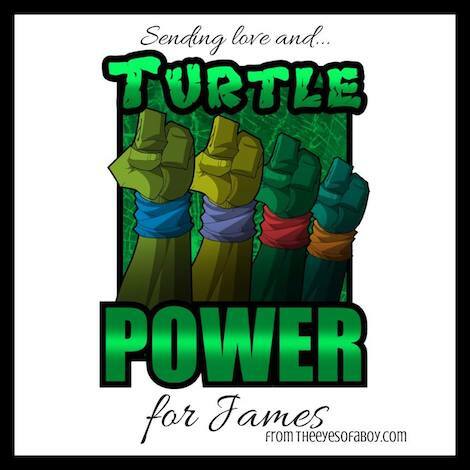 The family (whom I went to high school with) is asking people to send prayers, love, and happy thoughts and created a Facebook page, Turtle Power for James Edwards, in honor of his love for The Teenage Mutant Ninja Turtles to share updates. As they and all of their family, friends, and city of Coral Springs, FL wait to see exactly what James’s condition is, they encourage those following their story to pay it forward in honor of James. 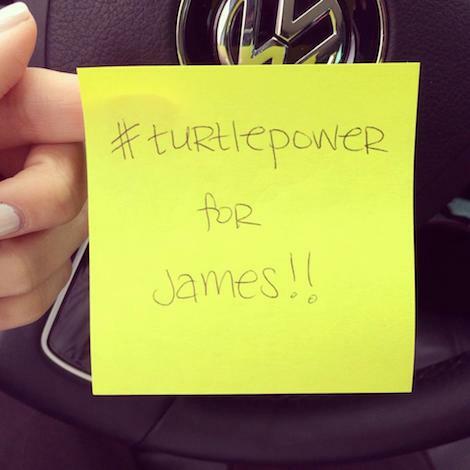 Do good for others and your community and get everyone buzzing about James and his turtle power! Buy someone’s lunch, hold a door, purchase a coffee for the car behind you in the drive-thru. Spread the word and do it for James!